BLANKSTAHLWERK SINDORF GMBH, Otel, Oteluri pentru constructii, Oteluri pentru unelte, pe EUROPAGES. 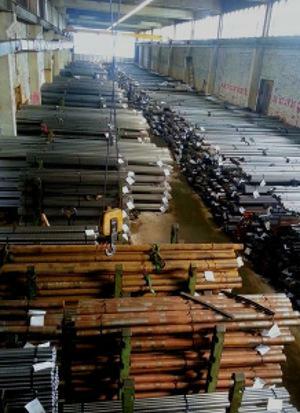 We are a medium-sized company specialising in the production and wholesale of bright steel. We supply flawless bright steel that is subject to our continuous in-house quality checks. Quality is more than just a word to us. We guarantee faultless goods, which you can machine without any issues. Our raw materials, namely rolled steel rods, are sourced from all the leading steel works in western Europe, including Arcelor Mittal, Saarstahl, Eko and Swiss Stell.